The Activities Building is 30’ x 70’ and can be divided into two 30’ x 35’ rooms. 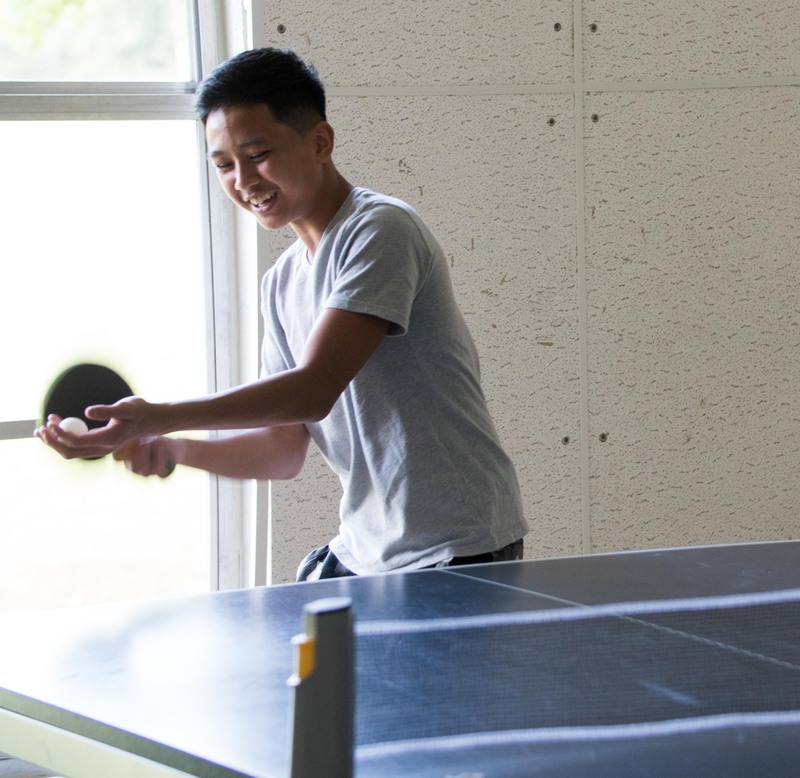 Ping pong tables and a foosball table are available for use. Paddles and plenty of ping pong balls available. The Activities Building is also available for meeting space. The Activities Building is outfitted for just about any game or activity you might have in mind for your group. While it has the feel of a gymnasium, you won’t feel like you’ve been indoors! the windows of the Activities Building provide both natural lighting and a beautiful view of Camp Paron’s campus.